As the below zero temperature makes its return to Chicago, it’s important to continue to keep warm and safe this winter, especially for senior residents. AARP has provided a list of safety tips during this winter season that’ll help better protect your health. 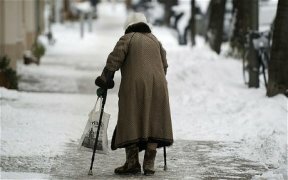 “With 20 cold-related deaths already reported, including three in Chicago, everyone needs to take precautions, particularly elderly individuals who are more at risk in extreme temperatures,” AARP Illinois Communications Manager Gerardo Cardenas. •	Protect your skin. At temperatures of 15 to 30 below, exposed skin can get frostbitten in minutes. For older adults with reduced blood circulation or those improperly dressed, the risk is even higher. •	Try not to stay outside more than 20 minutes. Wear a hat that comes down over your ears, protect your face and neck. Mittens are better than gloves, layers are best. •	If you think you may have suffered frostbite, do not thaw using hot water or a heating pad. Use lukewarm water or your own body heat to thaw. Seek medical attention. •	Wear layers the right way. If you must go outside, wear layers to protect against heat loss and wetness. And don’t forget your hat. •	Protect against falls and injuries. With temperatures this low, the salt normally used to melt ice and snow on roads and sidewalks doesn’t work as well. •	Warn your kids and grandkids. Younger folks, who may not understand the risks of these record temperatures, also need to be encouraged to take the necessary precautions. •	Check on elderly neighbors or relatives to be sure they’re warm and safe. •	Don’t allow pets to stay outside except for short periods.